A Dutch experiment using a fake God Helmet was published last year (D. Maij, et al.). It claimed to have elicited a large number of extraordinary experiences using suggestion and a placebo helmet. 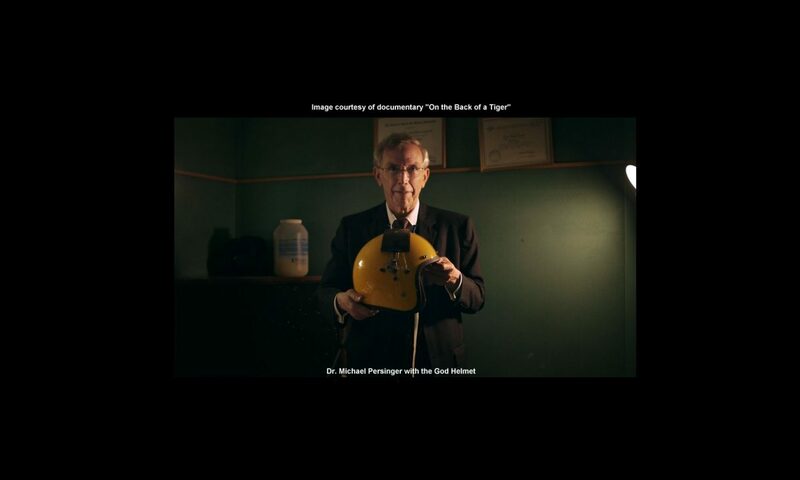 On closer examination, it turns out that the percentages of “sensed presences” and out of body experiences and they reported from their “fake” God Helmet were close to what Dr. Michael Persinger reported from his placebo control subjects. Dr. Persinger found that about 10% of his control subjects reported feeling a presence, in contrast to the 80% who felt it under actual stimulation conditions. The “fake” God Helmet experiment found that 5.6% of their subjects (placebo subjects, all) felt a presence. Persinger saw more “sensed presences” in his placebo control group because he used an acoustically silent chamber, which has a noticeable, but small, effect on it’s own. He published this in one of his many essays. The Dutch researchers didn’t apply any actual stimulation, so they didn’t see the high rates (80%) of sensed presence sensations that Persinger saw in his experiments, which also used placebo controls and blind protocols (sample). The Dutch researchers found that 8.6% of their subjects reported “floating” sensations or out of body experiences (different, but similar experiences) without any stimulation. In contrast, Persinger’s subjects in one study found 28 to 37% (depending on their neural profiles and other factors) reporting them. If the results were due to placebo effect or suggestion, the numbers should have been approximately the same. The Dutch study was carried out during a music festival, a high-energy, loud, and celebratory environment. The subjects went from that environment into partial sensory deprivation, and the strong contrast between the mood in the crowd, and the mood that appears with sensory deprivation could have contributed to the results from the “fake” helmet. The God Helmet isn’t a placebo device, and it doesn’t work through suggestion or suggestibility. It’s a real neural stimulation technology. The best way to see the effects a brain technology has is to use EEG or another brain imaging method to observe it’s effects directly, which was not done in the Dutch experiments. 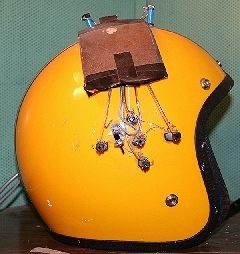 Maij’s results with his ‘fake‘ or ‘pretend‘ helmet were similar to Persinger’s control groups, but not even close to Persinger’s results with his actual subjects. 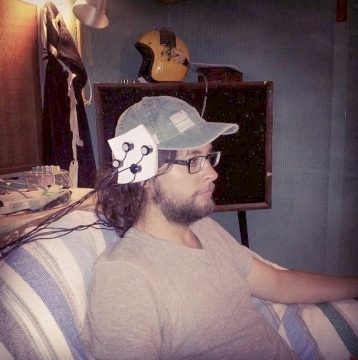 In addition, Maij used “white noise” a known mild hallucinatory stimulus, so although his helmet was a “dummy”, his procedure wasn’t a full placebo. Here’s a video response on YouTube. This is a fascinating read for anyone interested in OBEs. Persinger has published a reply to a critical article in a British “pop” psychology magazine (The Psychologist) entitled “Neuroscience for the Soul”. This article perpetuates a few mistaken notions about the God Helmet, as well as some of Persinger’s theories. For example, Persinger does not believe that spiritual and religious experiences are seizural events in the temporal lobes, and he also rejects the idea that religious belief is an epileptic phenomena. Persinger’s God Helmet results are not due to suggestion, and they do use placebo controls and double-blind conditions. Richard Dawkins, the flagship author and semi-official spokesman for the skeptical movement, had been drinking before his God Helmet Session, and that’s why he felt so few effects. The low-intensity magnetic fields used with the God Helmet are strong enough to create striking effects, and this link will take you to a page where you can see that lots of other researchers have seen measurable effects using low-powered magnetic fields on the brain. Skeptics insist that Persinger’s work with paranormal phenomena (correlating it with geomagnetic measures) has not been replicated. However, it simply isn’t true. In spite of claims to the contrary, there has been a replication of a God Helmet experiment, (easy reading description) as well as replication of other work by M.A. Persinger. The “Haunted Room” experiment (intended to try to create a synthetic haunted environment) was not a test of any of Persinger’s concepts, in spite of claims to the contrary. 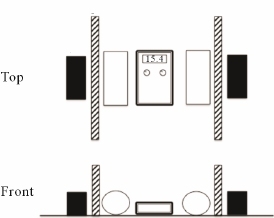 The “haunted room” experiment used whole-body stimulation (to try to create an artificial “haunted Room”), while Persinger’s experiments stimulated only the head, and sometimes just one side of it. 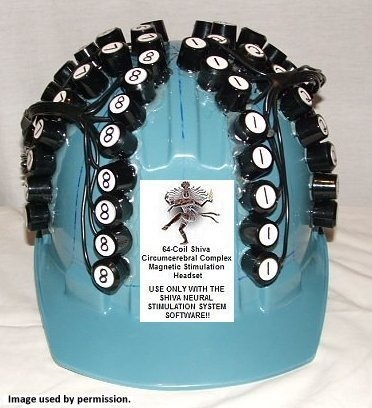 You can’t stimulate only the right side of the head using an entire room as the stimulator. Most of the criticisms of Persinger’s theories and ideas resolve into “straw man” arguments. These are arguments that give the impression of criticizing a person’s argument, while actually challenging a position that they never advanced. It creates the illusion of having falsified an opponent’s proposition by covertly replacing it with a different proposition (i.e. “stand up a straw man”) and then to dispute the false argument (“knock down a straw man”) instead of the original proposition. Other straw man arguments are based on substituting a critic’s interpretation of a belief for the belief itself. There are many other points discussed in Persinger’s published reply, making it worth reading for anyone interested in neurotheology and the many debates that have appeared over the years. You can read it here.